Today’s Prompt: Who’s the most interesting person you’ve met this year? 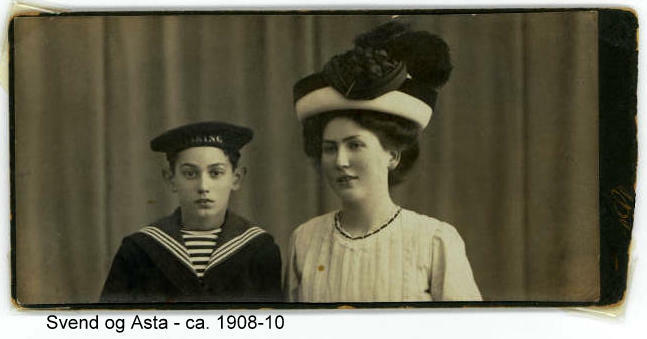 My grandmother Asta died in 1982 so I just chose her as I have wanted to write about her for long. It was often said about her by some of her children and grandchildren that she was moody and when she was alone she would complain that she was lonely and when the family came to visit she cheered up considerably. I remember her soft wrinkles and fine grey hair and lovely voice. She loved when we bought her a piece of English Pears soap. To me she was like a queen. She had that dignified aristocratic atmosphere around her and I loved the old pictures on her wall from her childhood and youth and her own family pictures. I can’t help to share them with you. I think the story of her life explains a lot of her character. 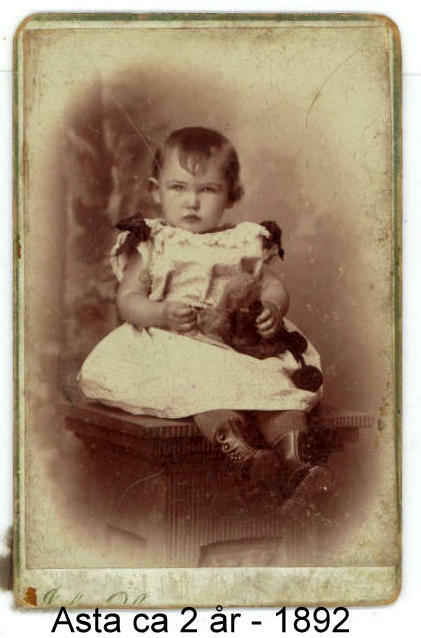 She was born in 1890 to two very young parents Laura and William. 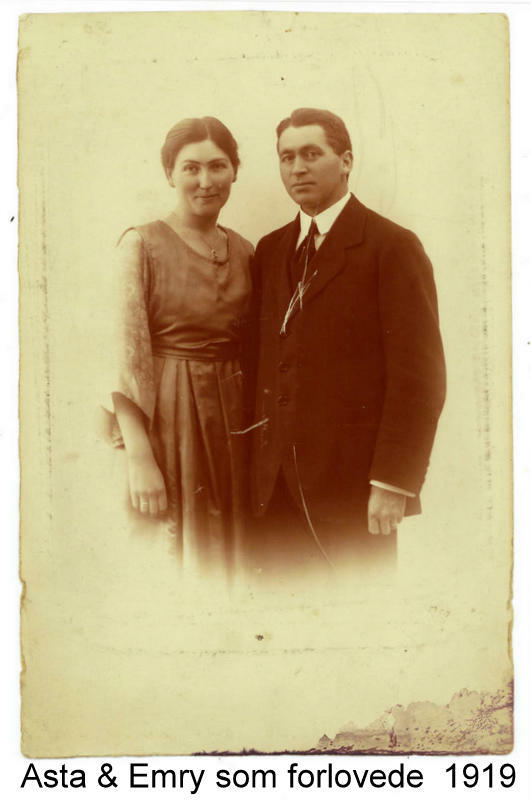 Laura’s father had escaped military service in Königsberg Prussia in the mid nineteen hundred and he started a new life in Denmark. Laura was sent to a German school in Copenhagen so that she neither learnt proper German nor proper Danish writing. 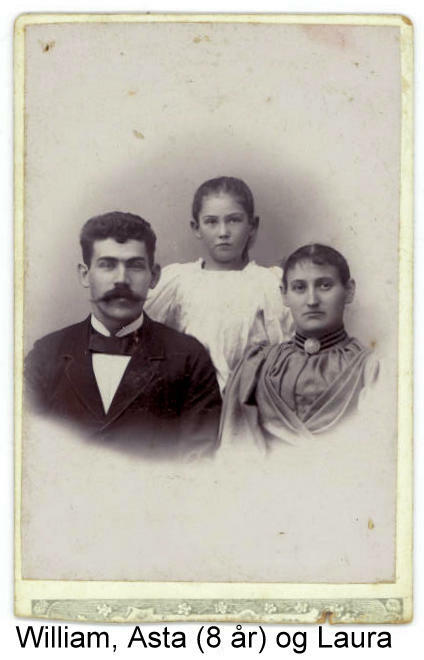 One year after Asta was born Laura got twins who died shortly after their birth. My grandmother has told me that they were put in a fur muff to get some warmth in their short lives. A one year old baby still needs her mother a lot and then such a loss happens. When Asta was ten years old she got a brother Svend. Growing up and visiting her in my childhood I wondered why I never heard of Svend. I knew she had a brother and he looked so good at the old photographs on her wall. 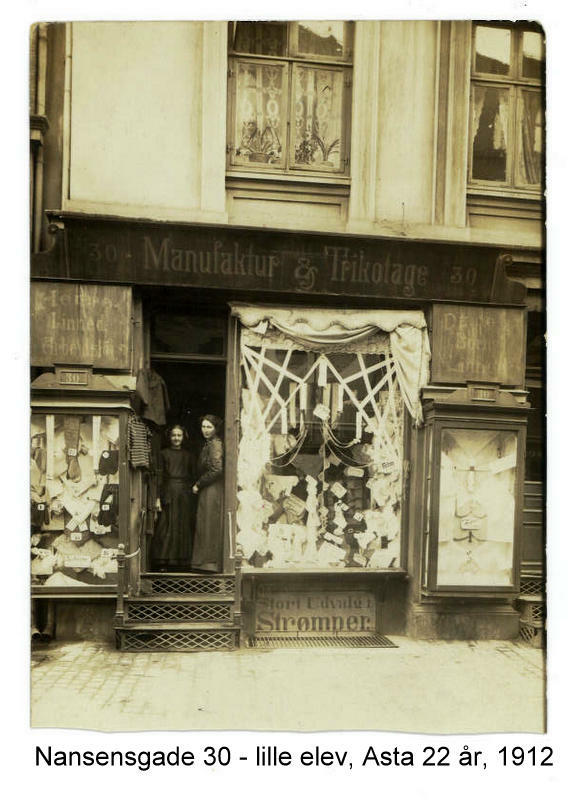 My grandmother Asta worked in a draper’s shop from she was about 15 years old to 25. She walked twice a day to the shop from her home in Nyboder. She had to go home for lunch and they had long working hours. Tram fares were expensive. At 25 years of age she had to go to a convalescent home as she had a bleeding ulcer in the stomach. At the right in the door of the shop is Asta. I was studying to become a nurse when she told me about it and I thought it was unusual for a young person to suffer from that. 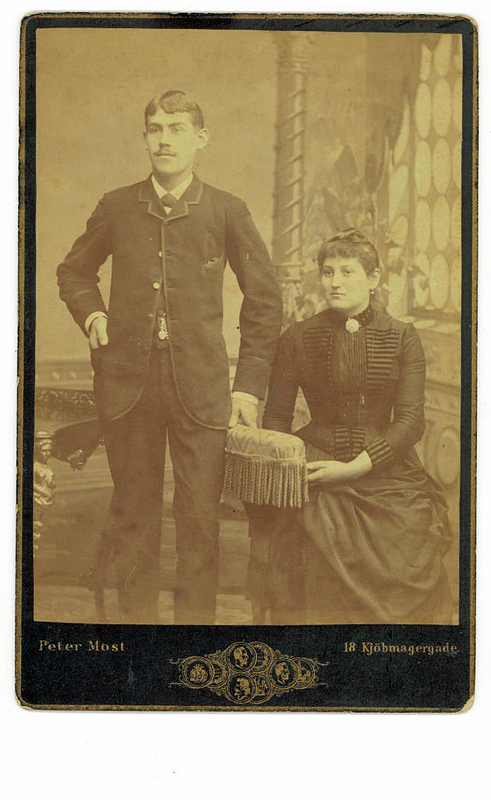 Much later I understood that her father had left the family when Svend was about 6 years old and my grandmother was 16 years old in 1906. William had found another woman and had a child with her, a boy named Kurt. I don’t know how long time William was away from the family living at the other place. They weren’t divorced. 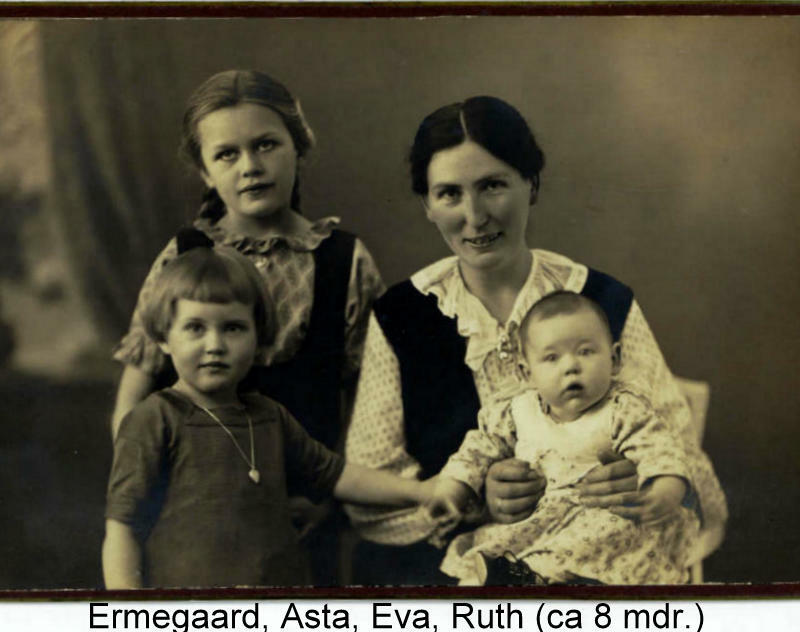 Laura was away from home working with cleaning in many homes and in a bakery shop and Asta took care of Svend for years I think. He grew up with up without a father and got a special character. As a young man he borrowed money for different new businesses he would start. Some how he forgot to pay back and I think that he became a burden and Asta had to cut the connection. Their father came back to Laura and nothing was said about the missing years. 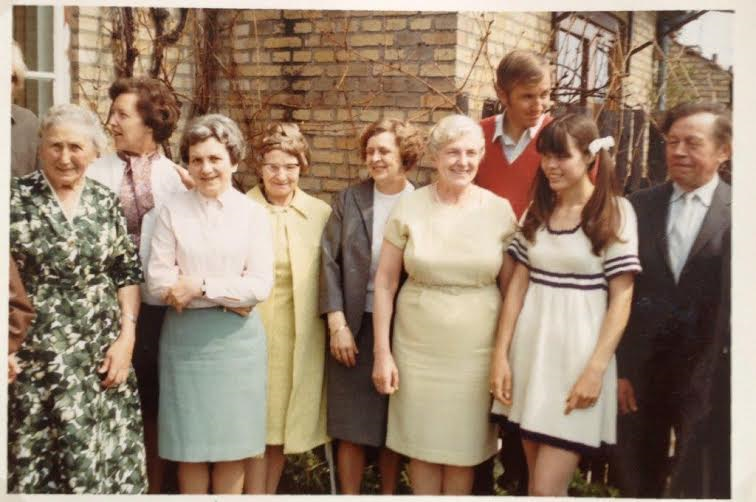 My grand mother had a lot of busy years bringing up her four children and helping her husband who was a school teacher and a parish clerk. That meant that people came to have their births and deaths registered. They lived in a province town called Holbæk a two hours drive from Copenhagen. How she met Emry is coming soon in another post. 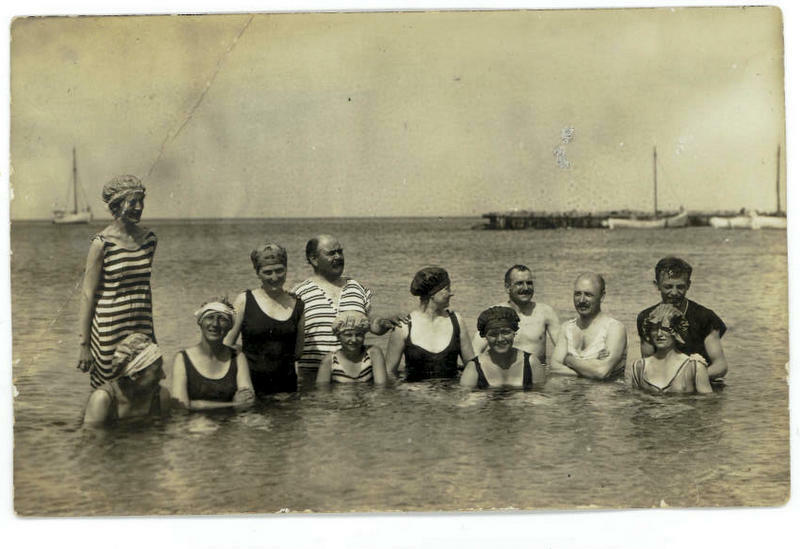 It’s a pure miracle that they met in 1919. 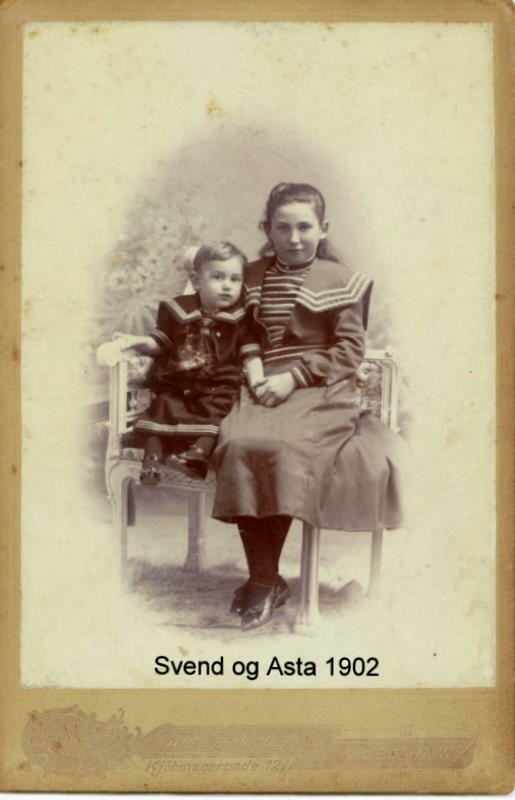 When Emry her husband died their children wanted her to move to the area where they lived close to Copenhagen. They thought she should be happy there. I think all the traumas of her life came alive now she lived there alone. Suddenly she felt the loneliness of her childhood where she had the custody over her little brother and she remembered her mother’s loss having been forsaken by her husband William, so that she had to leave the children to clean and cook for others. In my opinion it was not fair to make fun of her behavior when it is fully understandable that she had a lot to come to terms with and had been in grief several times. A few times my grandparents managed to get on bus tours to Paris and Austria after the WWII. Oh how they enjoyed it. They had lived through two world wars and had worked for many years. Now for a brief moment this luxury was possible before my grandfather died in 1957. Twice she broke her thigh bone in her old age and went into hospital in a room with 5-8 other patients. She cheered up through entertaining them all, because she knew a lot of people and how they all were connected. She had a huge plaster cast up to her waist, but the inconvenience of that was a minor problem to her. She loved to be in a social situation. I think she should have stayed in the town where she and her husband lived and where she had many friends, who would also have been faithful to help her after the death of her husband. She died of old age – 92 years old and managed to hold two of my children in her arms. Thanks for sharing a most beautiful tribute to your grandmother. It is written very well and with richness of details that transported me there and gave me an idea of the people you described. Adding the photos was an excellent idea. Thank you for this response. I have loved the old photos since I was a child. English is not my native language so I miss to be able to express myself more detailed. But I put myself on practice all the time. Don’t worry about not being a native speaker. I’m neither. There are many of us here. You really wrote very well. I did enjoy reading your piece…you’re writing it’s really good! Thank you for sharing. She sounds like a beautiful woman. A remarkable woman! Thanks for sharing her story! how beautifully written-so many photographs too! You made me love Asta!